Bachhawat Foundation is a not for profit organization dedicated to literature, art and culture. Set in the serene atmosphere of suburban Kolkata at Badu, providing equipments and opportunity for artist, printmakers and sculptors to channelize their creative energies. The foundation has been instrumental in hosting art camps and workshops. The state of the art sculpture and printmaking studio provides for a rare opportunity for the artist to practice their craft. 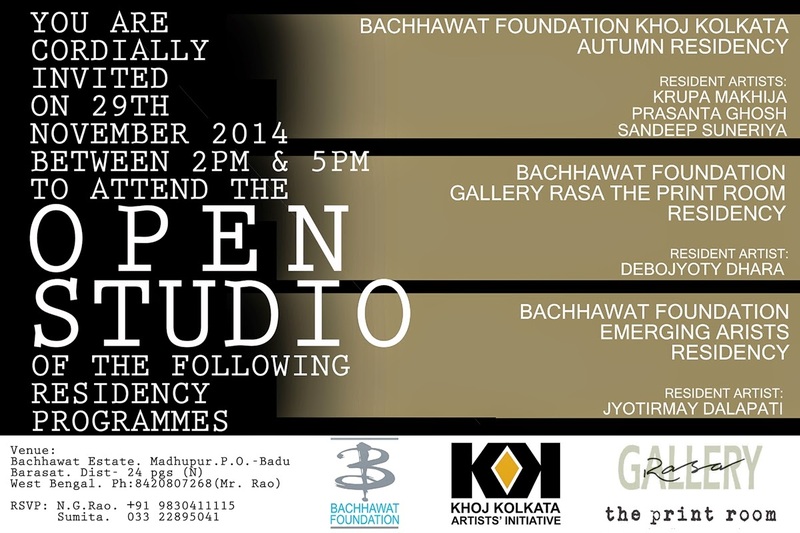 Bachhawat Foundation along with Khoj, Kolkata, would be having the Autumn Residency from 2nd November till 29th November’2014. Badu is a small hamlet in the outskirts of Kolkata. It is witness to the rapidly changing rural landscape due to the evils of urbanization. Art becomes a medium to raise a voice against environmental issues .The Autumn Residency aims at creating a discourse through art, on the changing landscapes of rural areas due to urbanization. The participating artists are Sandeep Suneriya, Krupa Makhija, Bharati Verma and Prasanta Ghosh. The residency would be coordinated by Chhatrapati Dutta.